Actress Bhavana is all set to marry soon to Sandalwood film producer Naveen with whom she fell in love some time back. Bhavana, who debuted in Tamil films with Mysskin’s Chithiram Pesuthadi in the year 2006, went on to star in films such as Deepavali, Jayamkondan, Koodal Nagar, Arya and Rameswaram. Finding her offers to star in Tamil films dwindling, she switched to Telugu films. Later, she started starring in Kannada films and now has a solitary project titled Mytree. However, she is busy in Mollywood where she has as many as four films on hand. During her stint in Kannada films, she fell in love with film producer Naveen. The duo has been seeing each other for the past year and has reportedly secured the permission from their respective parents to get married. Labels: Bhavana to marry with producer . Naveen. Bhavana wedding photo gallery. 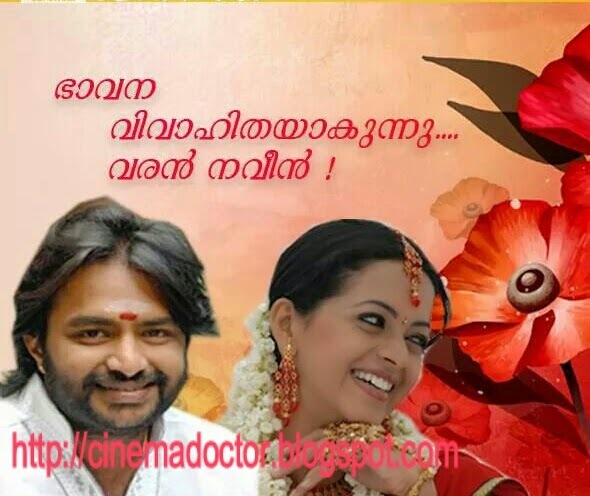 Bhavana wedding videos. Bhavana wedding photos.